When I think of Palm Spring I think of Coachella. I've had my fair share of music festival experiences in the dessert and it always brings out my inner bohemian goddess. From flower crowns to ripped denim shorts, I'm all for it! 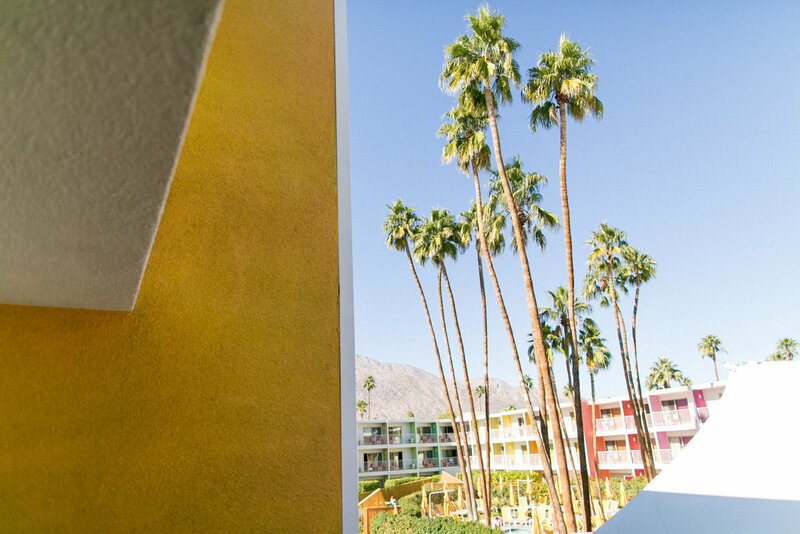 On this weekend trip my first stop was the rainbow colored, retro-chic Saguaro hotel. The first look of the day was this flower child, 70's inspired outfit. From the One Teaspoon ripped denim skirt, to the fringe knit top by For Love&Lemons, and not to mention these adorable round Cutler and Gross sunglasses sure made me one happy hippie.